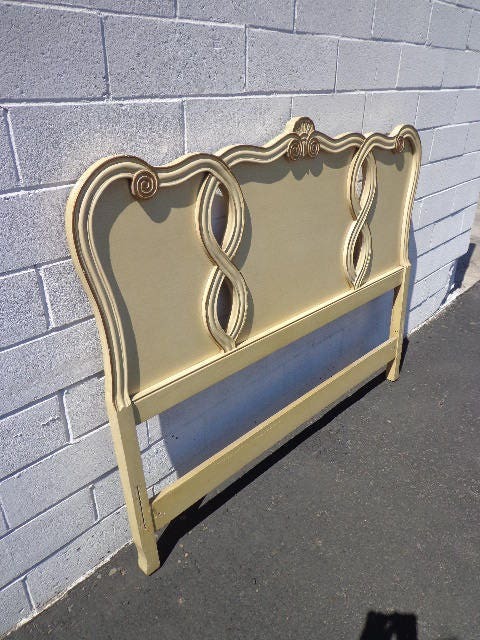 • Gorgeous and attractive vintage French Provincial headboard. 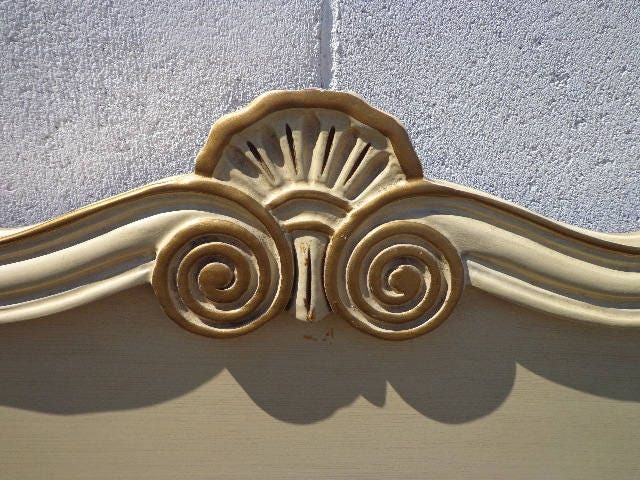 • Neat cut out design and shape, French Provincial Neoclassical character. 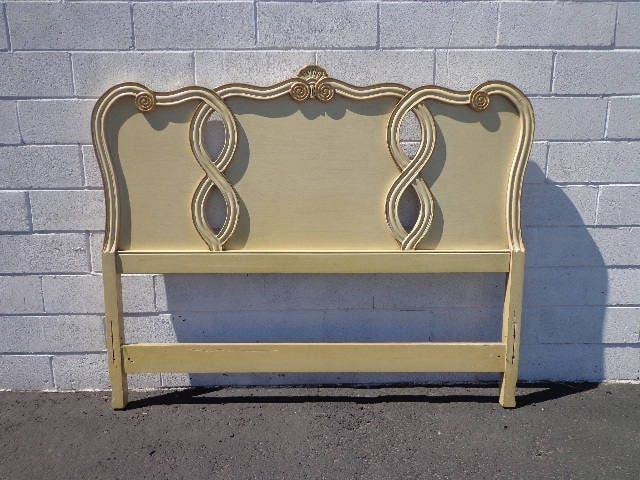 • Headboard accommodates any full size bed. • Could easily be painted for a whole new look. 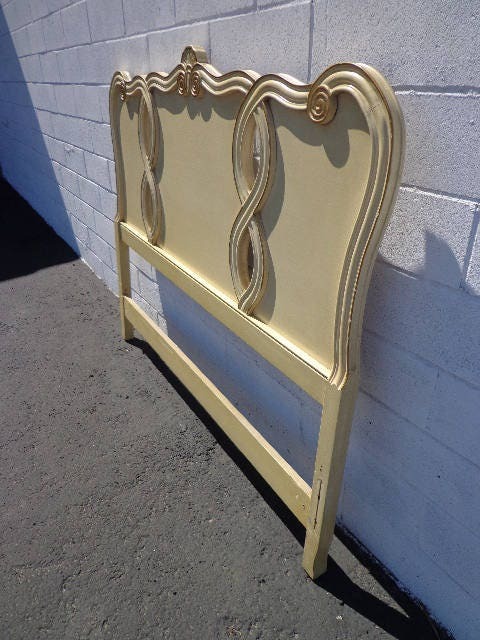 • Will go great with vintage, retro, modern / contemporary interiors. • Overall good vintage condition, shows some wear from age/use. 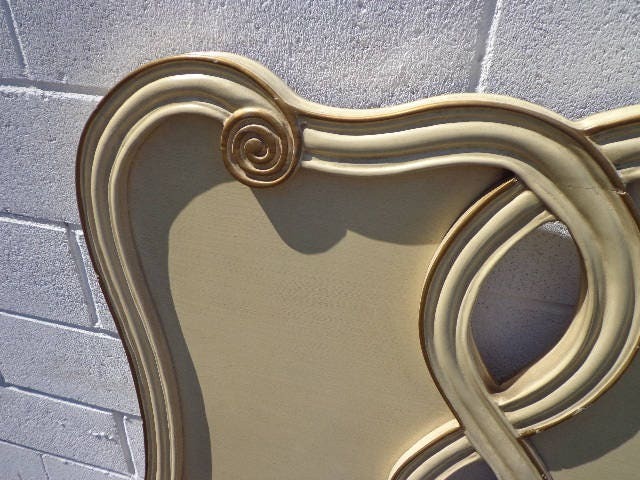 Shows surface wear to the finish.